Not content with being the centre of everyone's productivity within the home, Microsoft is positioning itself to be the go-to place for educators and students by kicking off two new services. Currently available in private beta, the two services take the form of the Classroom Hub website to pull together content from all Office applications and the School Information Sync service that helps administrators gain insights from school data, according to PC World. At its heart, Classroom Hub allows both teachers and students to benefit from a central location where content is stored on each class. This includes notes, assignments, calendars, class materials, and gives both sides of the desk the chance to track exactly what is going on in any given lesson. In addition, there will be a OneNote Class Notebook so that information about each class can be shared by both students and teachers. School Information Sync, meanwhile, will bring information from student information services straight into Office 365. From there, administrators and teachers will be able to bring a student's name and class commitments into Office 365 applications and others. That isn't all. The latter service provides software vendors with a single API that means school data can be integrated into various other programs and means the data can be combined with apps that bring-in data from a range of sources. 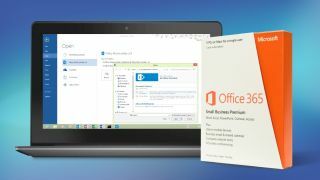 Microsoft has been working hard to make Office 365 the application for students and built on this by providing it to certain students in the United States free of charge after Google made a similar move with its Google Apps for Education.